What is RAM (Random Access Memory) ? Ram is one of the most important component of a computer.In this post i will tell you What is RAM (Random Access Memory)? RAM stands for Random Access Memory.Random Access means that each individual byte in the entire memory can be accessed directly.It is also called Main memory or Primary Memory.Ram is used to store data and information temporarily.All programs must be loaded into Main Memory (Ram) before Execution.Central Processing Unit (CPU) can read data from RAM and write data to RAM. 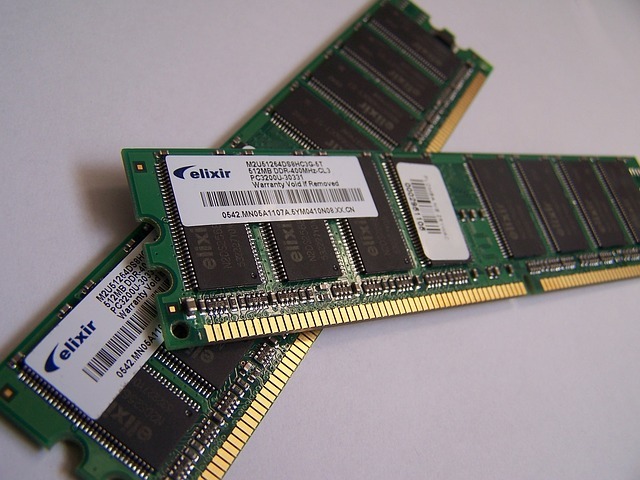 RAM is Volatile Memory because it loses its contents when the computer is shut off or if there is a power failure. It is used to store any type of data while it is being executed.Ram is also called Primary Memory or Direct Access Memory.The amount of data that can be stored in RAM is measured in bytes.Most desktop computers have typically 2GB of RAM or more. DRAM stands for Dynamic Random Access Memory.It is common type of RAM.It requires an electric current to maintain its electrical state.DRAM is very slow because the CPU can’t access the data of DRAM when it is being refreshed. SRAM stand for Static Random Access Memory.SRAM is faster than DRAM because the CPU does not need to wait to access data from SRAM during the program execution.It utilizes less power and more expensive than SRAM. MRAM stands for Magnetoresistive Random Access Memory.It stores data using magnetic charges instead of electrical charges.It is ideal for portable devices because it uses far less power than other RAM technologies. Please share this post on social sites with your friends. Fake facebook ID ka pta kaise lagaye ? Blog Kya Hai? Blog Ki Types Kon Se Hain?Blogging K Kya Faidy Hain? Facebook account block kiyon hota hai?